Hyundai have announced that the Tucson will be their first SUV with the sporty N Line trim. A unique combination of a family SUV and N-inspired sportiness, the dynamic design features redesigned bumpers and a dark mesh-pattern grille framed by dark chrome as well as dark 19in alloy wheels to further emphasize the car’s attitude. Black-bezel headlamps, unique daytime running lights and darkened window frames combine with body-coloured door handles to also create a more dynamic look for the Tucson N Line. 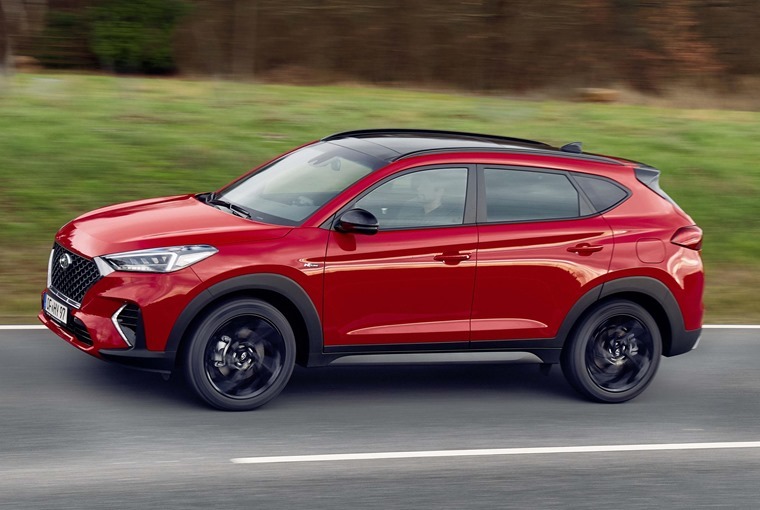 Available with three powertrains ranging from 134hp to 183hp, Hyundai is promising more than just a new look for the sporty SUV thanks to suspension and steering updates. Refined MDPS (motor driven power steering) and adjusted suspension settings allow customers to experience a more sporting drive thanks to 5% greater rigidity in the rear setup and 8% more in the front. Software changes in the steering give a slightly more direct, linear feel at the wheel too. On the inside, the car features N-branded leather-suede sport seats and red accent stitching on the steering wheel and seats. Alloy pedals and the leather-wrapped, red-accented N gear shift lever are also part of the enhancements. The vents, door handles and infotainment surround also continue the all-black theme. 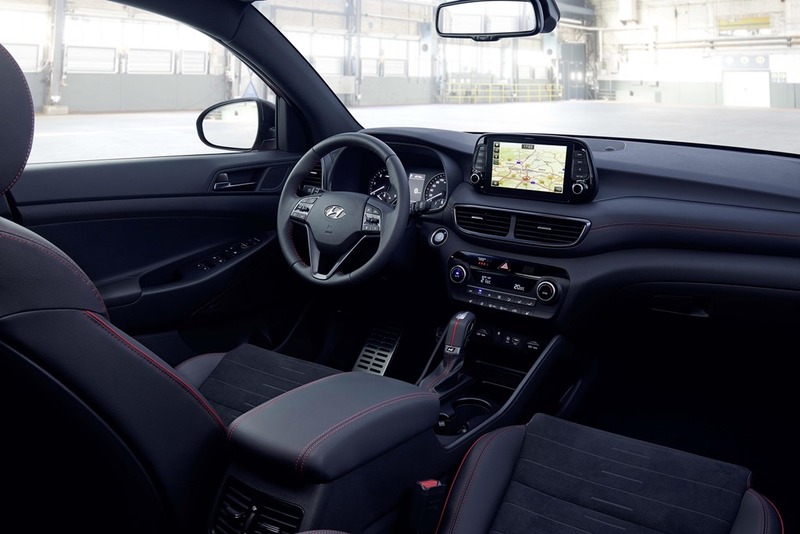 Combining the iconic strength, safety and comfort of Tucson with the dynamic styling and attitude of N Line, this new model offers a 1.6 T-GDI petrol as well as a 1.6 litre CRDi engine with or without 48V mild hybrid technology. 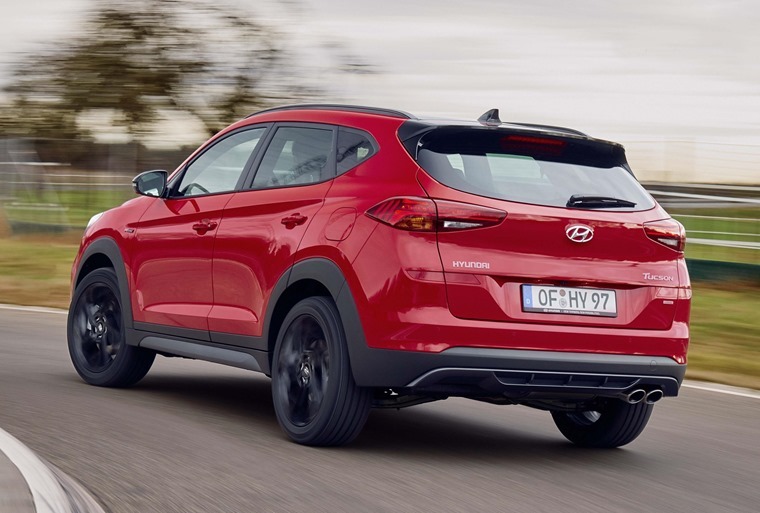 The mild hybrid powertrain contributes to Hyundai’s global efforts to improve fuel efficiency by allowing the Tucson to engage its stop/start system early while the brake regeneration system can also reduce load on the engine. The petrol can already be found on the current Tucson and offers 0-62mph in 8.9 secs. 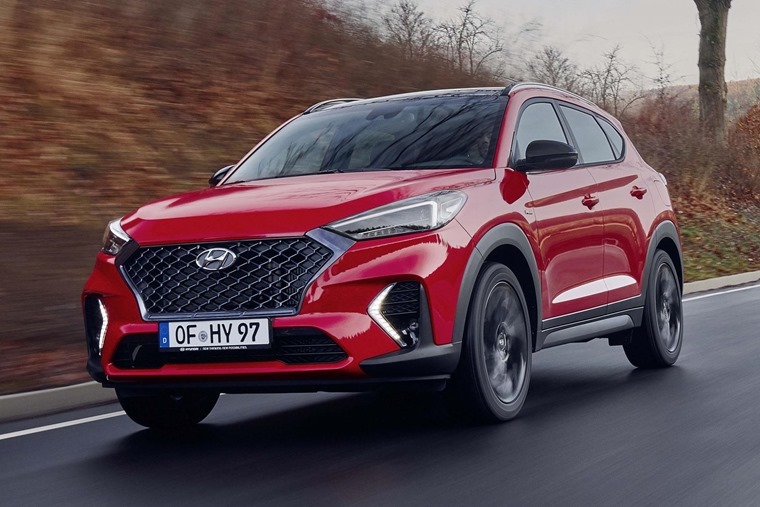 “Tucson is our best-selling model in Europe and it is positioned right at the heart of our brand, so we are excited to introduce the N Line character to our customers in this segment.” commented Andreas-Christoph Hofmann, vice president of marketing and product at Hyundai Motor Europe.